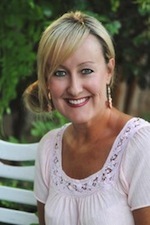 Today we welcome Julie for an interview! I've always been a reader, but I didn't know that I would end up being a writer. I do, however, remember loving my creative writing lessons in fifth grade. It depends on the project. 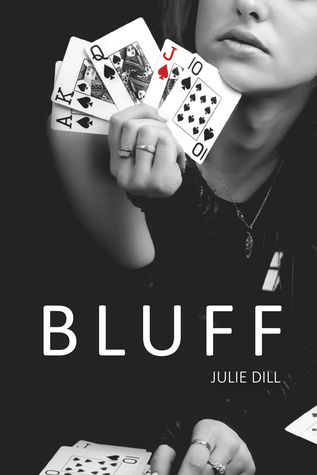 Bluff took about two years for me to write. The story was in my head for quite some time, though. It has to be something that interests me or something that I care about. It's very difficult. I've been a single mom for several years, and my time is very limited. It's a catch 22 because my busy lifestyle gives me a ton of ideas, but sometimes it's hard to find the time to get those ideas into a manuscript. I think it's important to create a character that your reader will care about. That's what keeps the pages turning. Also, the unexpected makes a great story. I don't enjoy reading anything that's predictable so I try to keep that in mind when I'm writing. For me, drafting is the easy part. Everything else is hard. Maybe not "hard" but time consuming. I don't think writers consider the amount of time it takes to research publishers, agents, the market, etc. I feel like that eats up too much writing time. Although Bluff is my first published book, I have a few manuscripts- a middle grade and some picture books. I'm currently working on a picture book for the Oklahoma Hall of Fame about the sit-ins that took place in Oklahoma City in the late fifties. Anywhere but my house. I get too distracted at my house so I go to coffee shops or the library. The same advice I've heard my entire career: read, read, read. Read books in your genre, but get outside your comfort zone, too. Also, be daring with your writing and explore different forms, genres, etc. I've had the same critique group for many years. We meet once a month, and I value their opinions/feedback. 1. My daughter making a three-pointer. 2. A ripe avocado. 3. A good book. 4. A stack of "graded" essays. 5. A nap. And one more…6. Babies. Babies always make me smile. Thanks so much for stopping by today, Julie. It was great having you here!